It may sound futuristic but stem cell therapy is actually available today. Let’s face it, runners aren’t average people and they don’t deserve to suffer with “average” treatments. With all of the amount of work we put into nutrition and training we don’t need to expect to suffer the limitations of surgical treatments or prolonged periods of immobilization most often offered to average patients with plantar fasciitis or Achilles tendinitis. If you want average results, seek an average treatment. If you want better, you’ll have to do something different. Dr. Christopher Segler currently offers stem cell therapy for three conditions that can be very difficult to heal in runners: chronic plantar fasciitis, Achilles tendinitis and plantar plate injuries. Plantar fasciitis is the most common cause of foot pain. In most cases plantar fasciitis is a simple condition that can get better with very simple treatments at home. In fact, Dr. Segler even wrote an entire book about runner’s heel pain to treat patients how to treat plantar fasciitis on their own. After a number of a patient expressed a desire for more in-depth explanation is he even created an online course to teach self-diagnosis and self-treatment of plantar fasciitis. So the fact is, with simple home treatments and a little bit of effort, most runners can completely cure their plantar fasciitis without ever seeing a doctor. However some cases of plantar fasciitis develop into chronic cases that are very difficult to heal. The standard approach with chronic plantar fasciitis is to send the patient for a prolonged course of physical therapy and decreased activity (which may even include NO RUNNING). If that doesn’t work, the doctor may go so far as to recommend putting you in a cast or even recommend use of crutches for a period of several weeks. If that also fails the doctor may recommend surgery. There are two big problems with plantar fascia surgery. The first problem is that we don’t actually fix anything when we do surgery on your plantar fascia. To the contrary, we actually cut the plantar fascia just so there is no longer any tension on it. Doctors call it a “plantar fascia release.” The plantar fascia is a structural component of your foot. It helps provide support. If you are a runner, you may have some instability in your foot that put you at risk of other problems if we cut your plantar fascia in surgery. Rather than destroy the structural integrity of your foot it seems a much better approach to use stem cell therapy to encourage actual repair and regeneration of the collagen in the plantar fascia to restore it to a fully functional state again. By injecting stem cells into the plantar fascia we introduce powerful pluripotential cells that have not yet decided their role in the body. Stem cells have the potential to differentiate into virtually any type of tissue. Stem cells can turn into just about anything. The idea is that when stem cells are injected they will transform into the fibroblasts that regenerate collagen and repair the damaged plantar fascia. Stem cell therapy is similar to platelet rich plasma (PRP) injections in that we hope to rebuild and regenerate the injured tissue in a natural way, using the body’s own power of biologic repair. However stem cell therapy has the potential to be more powerful than PRP. 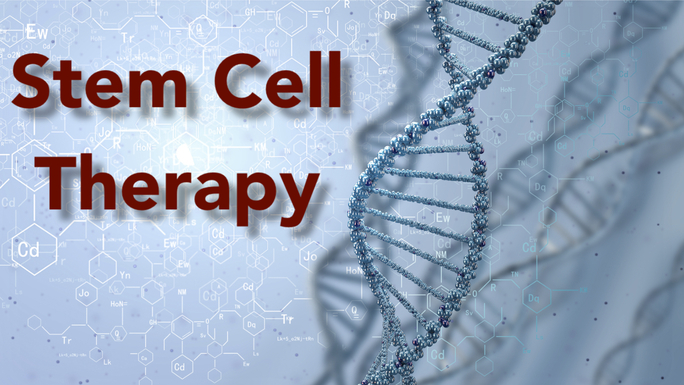 Stem cell therapy is a cutting edge treatment. There is currently no FDA approval for stem cell therapies. However many leading edge physicians are using stem cell therapy as an “off-label use” to provide the treatment for early adopters and athletes. Large scale studies are in the works to determine the overall effectiveness, but even though this isn’t a widely excepted treatment as yet, many runners are pursuing stem cell therapy instead of waiting for the masses to catch up. PRP injections and stem cell injections are not currently covered by most insurance providers. The Achilles tendon is the largest tenant in your entire body. And if you’re a runner, you need it. At least you need it to work perfectly if you want to push off and run. Chronic Achilles tendinitis develops when a runner has a minor injury that develops into a chronic state of degeneration that will not heal. At home stretching exercises icing, physical therapy can all help. However in some cases the runner becomes frustrated when months of restraint and partial training seem to go nowhere. As a runner and an athlete himself Dr. Segler believes that surgery should only be performed on a runner when nothing else will work. Surgery alters the anatomy. You cannot have surgery without scarring. Scar tissue is stiff, non-pliable and more prone to injury in the future. The last place you want to have surgery is the largest tendon in your body. Particularly if you are a runner! Stem cell therapy uses the potential for cells to differentiate into those that can heal. With stem cell therapy stem cells are injected directly into the area of damage within the Achilles tendon. The idea is to regenerate collagen and replace the damaged degenerated collagen that is causing pain swelling and increased thickness within your Achilles tendon. The reason this therapy may appeal to runners is that stem cell therapy injections may induce healing without the risks of surgical interventions. We know that injecting stem cells to treat chronic Achilles tendon problems has a shorter period of disability and much lower risk than any surgical procedure simply because there is no incision involved. The cost of stem cell injections is also much lower than the cost of surgery. While the Achilles tendon is the largest tendon in your entire body the plantar plate is one of the smallest ligaments in your entire foot. This tiny ligament can cause a huge amount of trouble for a runner. Many runners develop a plantar plate sprain after long periods of cross training on an elliptical trainer. Other runners get a plantar plate sprain when they are doing hill repeats or training on a very hilly course. But because of the amount of pressure and tension on this tiny little ligament it can be extremely difficult to get it to heal. Icing the foot, wearing more supportive shoes and taping the toe to decrease the strain on the plantar plate can sometimes help. But the truth is the plantar plate can be one of the most difficult injuries to heal in runners. Healing of plantar plate sprain can take anywhere from a few weeks to well over a year. It is extremely rare when a runner can continue to run, train affectively and race with a plantar plate sprain. If the pain is ignored these injuries typically just get worse. The main goal with treating a plantar plate sprain is to make sure that it will heal as quickly as possible so that it doesn’t degenerate and lead to a complete dislocation of the toe that necessitates surgery. Because the standard therapies of taping and decreasing activity work so poorly in most runners Dr. Segler will sometimes recommend stem cell therapy. When stem cells are injected directly where the plantar plate tear has taken place we expect the stem cells to transform so new collagen will form to repair the sprain, reinforce the plantar plate and induce healing. Although this is a brand-new therapy, Dr. Segler believes stem cell therapy has the potential to runners back to running faster than any other treatment currently available.